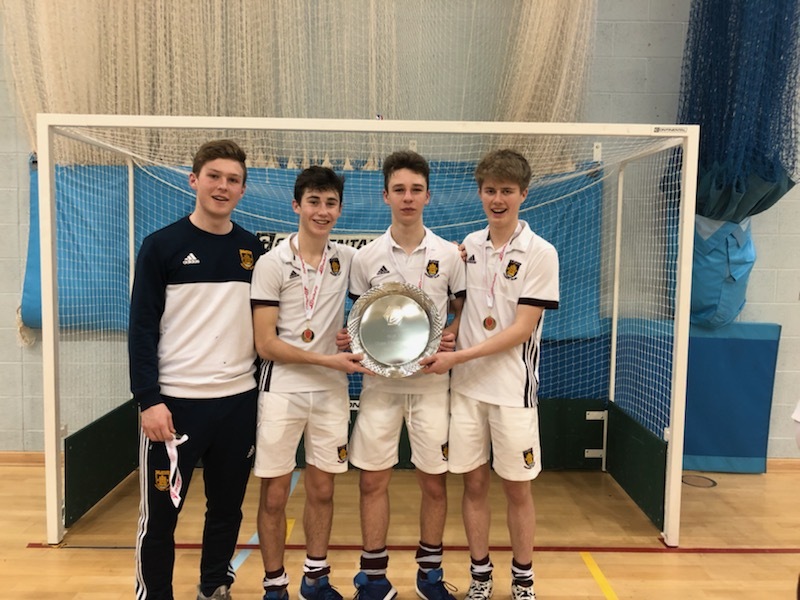 Freddy Esplen, Will Tristem and Jasper Wilson were integral parts of the victorious Guildford under 18 Boys team that took the National Indoor crown last weekend, coached by recent Old Cranleighan Ed Tristem. In their pool games they recorded four wins out of four against Old Loughtonians, Doncaster, Beeston and Cheltenham, scoring at least three goals in each match. Their semi-final against Marlow was a tense affair; 1-1 at halftime, 2-2 at the end, another 2-2 at the end of the first round of penalty flicks, but Will scored the sudden death flick to seal a place in the final. Against Bowdon in the final, Will scored after nine minutes, and they scored again at the death to win 2-0 and retain the trophy. In the under 18 Girls, Zoe Allchurch and Fifi Robinson came third in their pool for Surbiton, losing to Repton and Southgate before beating Bath and Bowdon Hightown. Tilly Gough was in the Surbiton under 16s, coached by Old Cranleighan Jonny Gall. Surbiton beat Cheltenham and Brooklands Poynton, before losing to Repton and then winning 3-2 against Harleston to reach the semi-finals where they succumbed to two second-half goals from Sevenoaks.